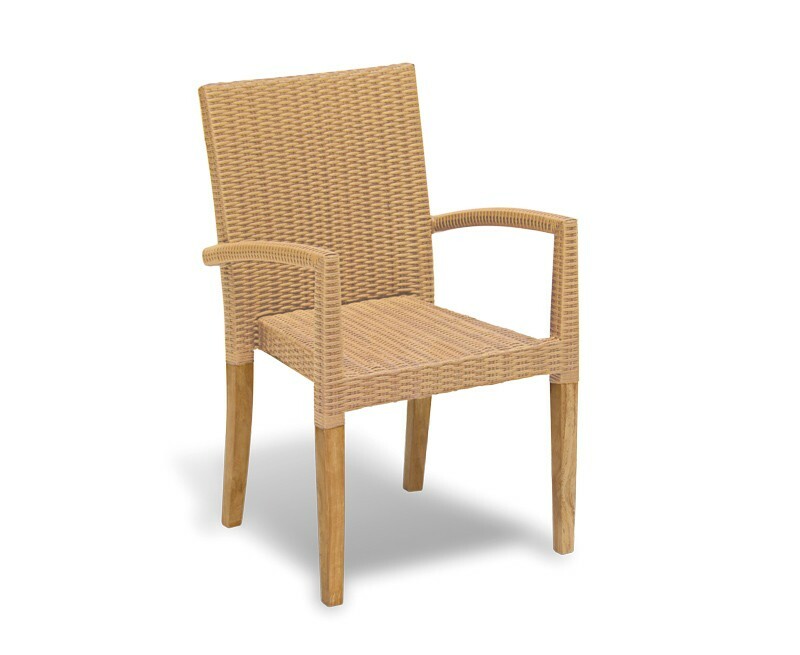 Our St. Tropez all-weather rattan and teak stacking chair can be utilised with any of our outdoor tables for comfortable alfresco dining. 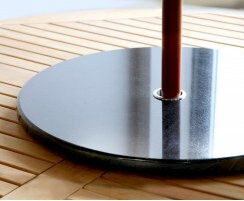 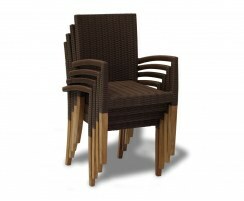 This stacking chair is delightfully modern and ‘on point’, and will work well to update your setting. 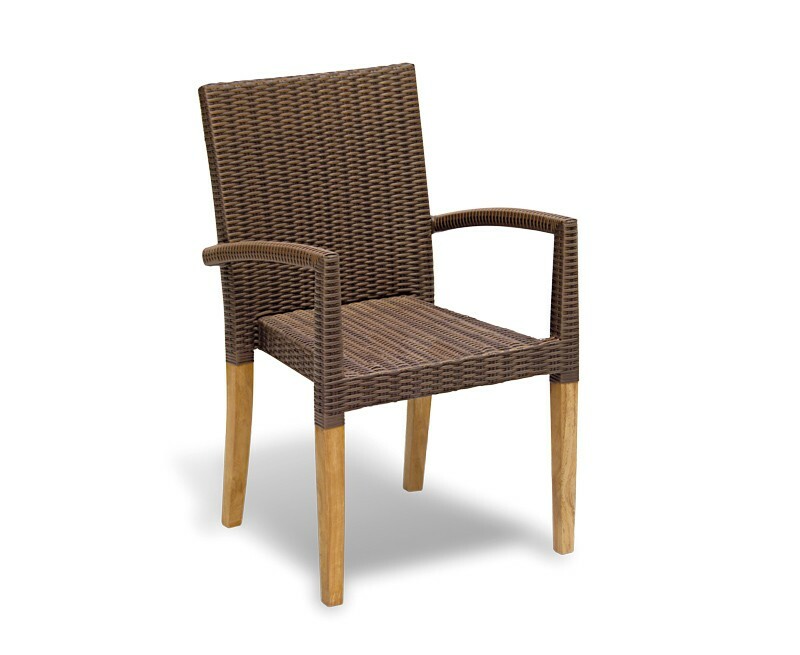 Our St. Tropez all-weather rattan and teak stacking chair has been expertly crafted from sustainably sourced A-grade teak and all-weather Rehau Raucord® rattan for lifelong durability and great looks. 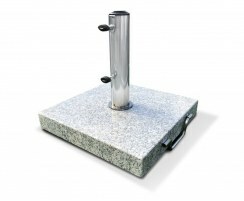 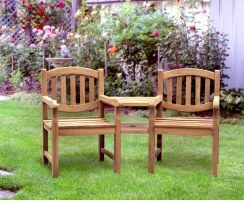 This stacking garden armchair can be used indoors or outdoors, and can remain outside all year round, no matter the weather. 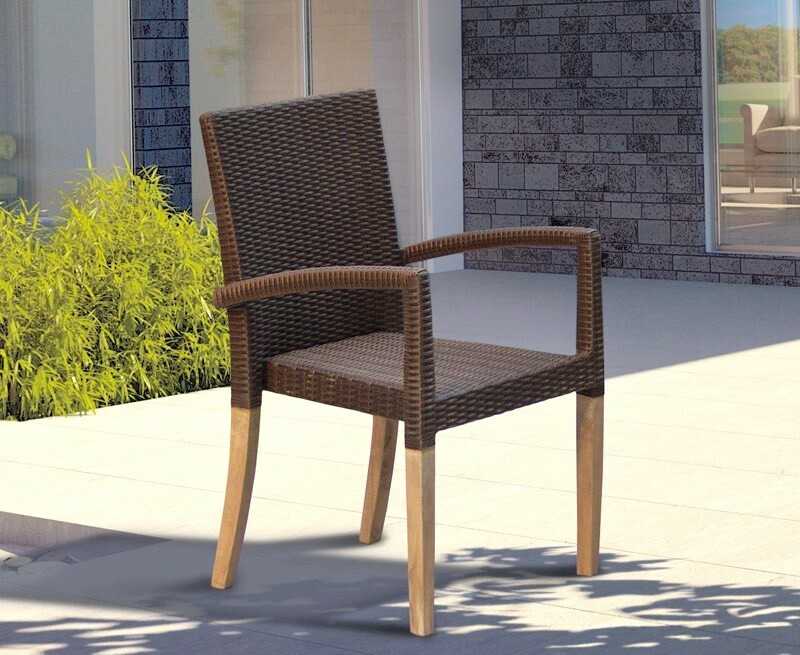 This stackable garden chair is stylish, practical and low-maintenance – occasional cleaning is all that’s needed to keep this stacking chair in tip-top condition. 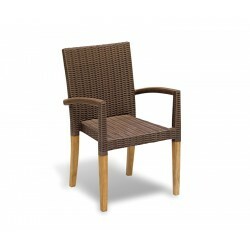 These teak and rattan chairs can be stacked for convenient storage, allowing you to make the most of your outdoor space. 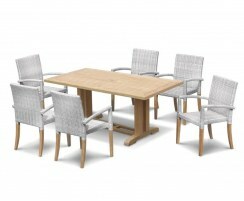 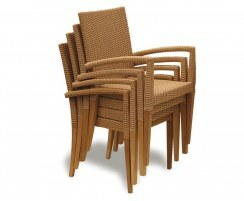 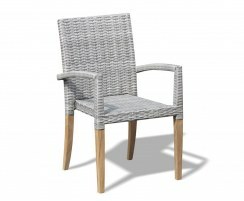 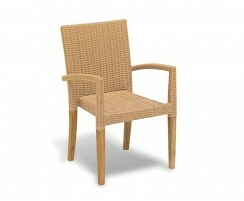 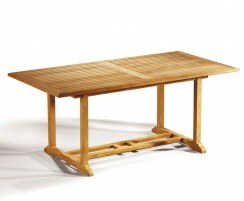 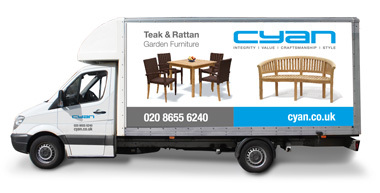 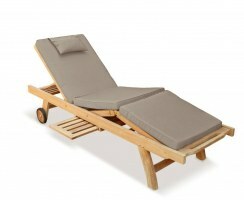 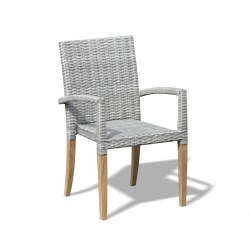 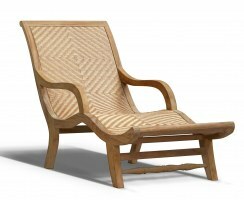 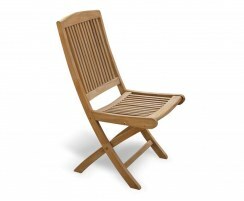 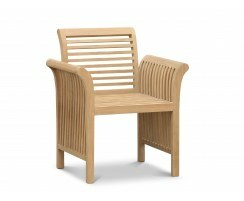 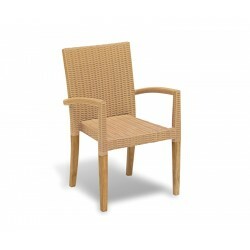 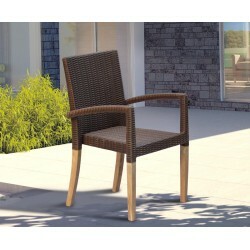 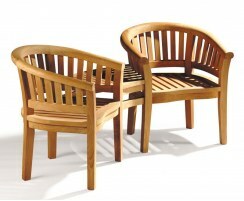 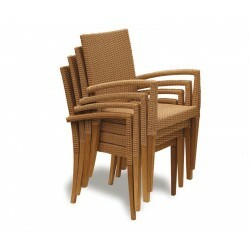 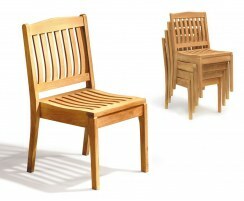 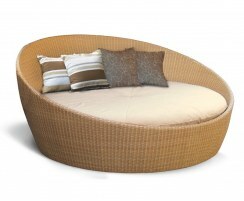 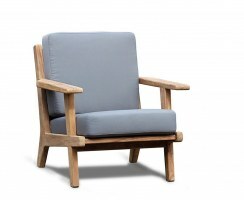 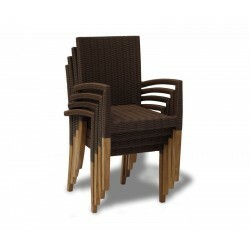 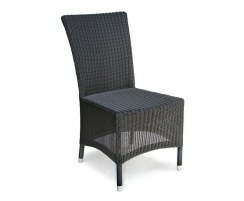 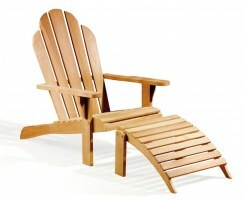 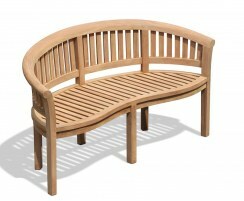 We will deliver this all-weather rattan and teak stacking chair to you fully assembled for your immediate enjoyment.